Book the attractive Holiday Inn Leeds Brighouse hotel, minutes from junction 25 of the M62 motorway. 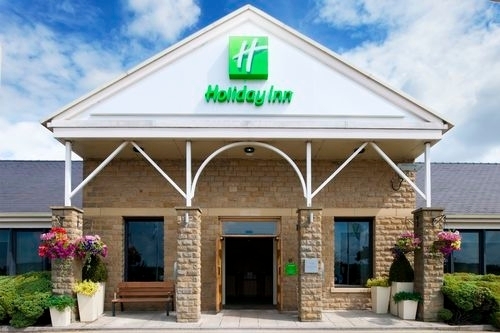 The Holiday Inn Leeds Brighouse hotel is built in traditional Yorkshire stone and has complimentary car parking in countryside surroundings. 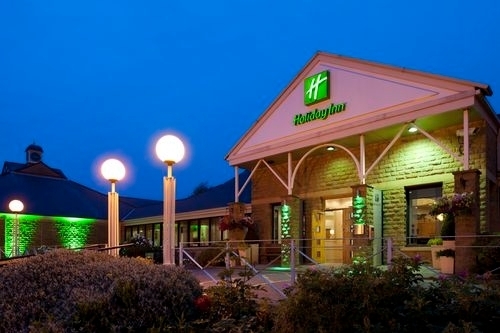 Our peaceful hotel provides convenient road links to nearby Leeds and Manchester is 45 minutes away via the M62 motorway. You can invigorate with a yoga class and swim in the indoor pool at our Spirit Leisure Club. Connect to wireless Internet beneath the elegant atrium roof in our Lobby, and unwind in the courtyard or by the croquet lawn. You can hold meetings at Holiday Inn Leeds Brighouse for up to 200 colleagues in one of 5 air conditioned meeting rooms with natural daylight. We're just 4 miles from businesses and the Galpharm Stadium in Huddersfield, and 15 miles from city centre companies in Leeds. Our location gives you opportunities to explore the nearby Bronte Country, a great area for scenic walks. Venture to Manchester United home matches at Old Trafford stadium, 45 minutes on the M62 from Holiday Inn Leeds Brighouse. Leeds city centre's bright mix of nightlife and shopping is only 20 minutes away by car. Country views and our fantastic new Cow On The Hill Steak and Grill restaurant boast hearty British dishes make The Cow On The Hill provides a relaxing dinner venue. We have a relaxing sauna and steam room, and can arrange corporate and leisure use of Willow Valley Golf Club.